The schapMzamba Project of the University of Applied Science Carinthia was designed and built by students, guided by build collective and in the execution supported by a local construction team. The project follows a master plan set up by architect Markus Dobmeier and client organisation s2arch, in order to give the school an overall design-strategy and to respond to climatic conditions. 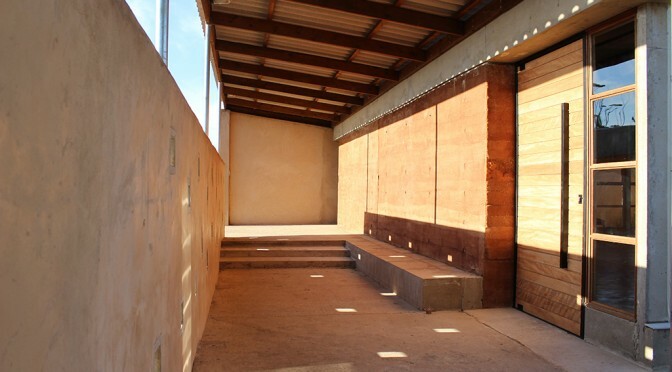 The classroom is defined by a large red rammed earth wall between two courtyards and surrounded by a protective wall. Ventilation stones offer playful views and many opportunities to access the small village with office and sickroom, two water points and shading serve the user´s experience at different levels. 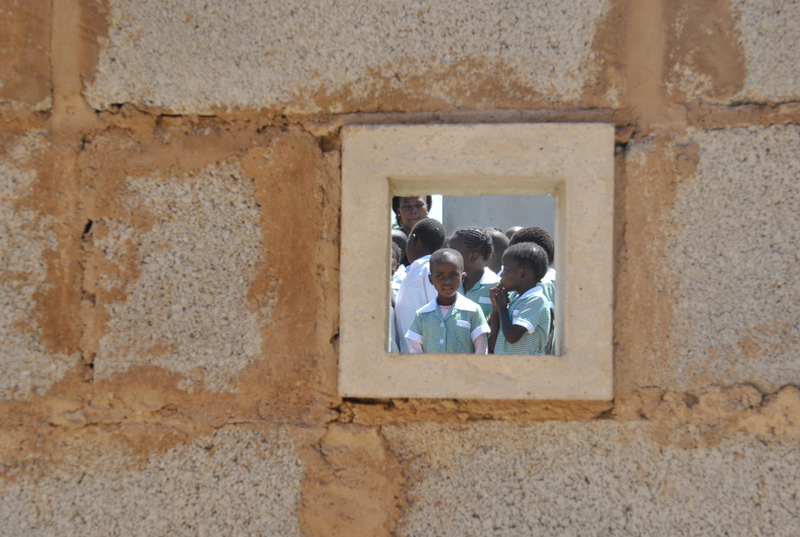 The user – teachers and staff of the Mzamba School, mainly asked for safety and security from heavy weather, cool air circulation and usable, covered outdoor space. 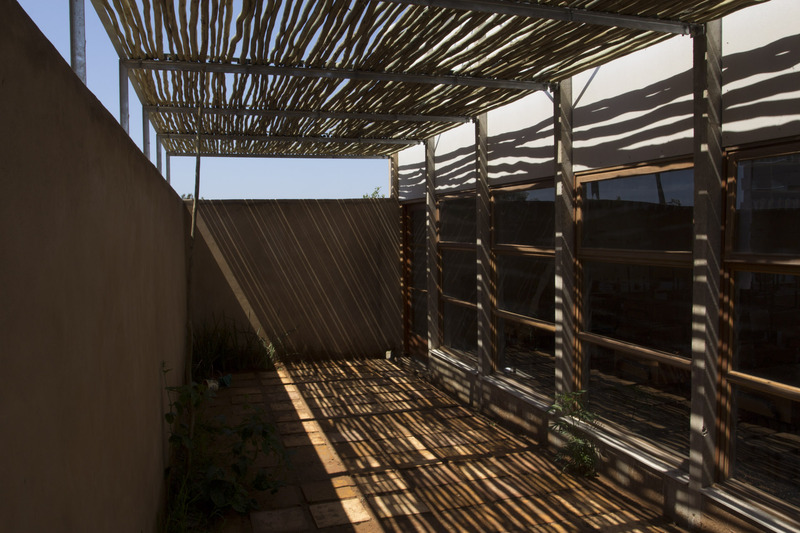 Roof trusses made of wood are based on concrete pillars similar to the modular design, developed by build collective and FH Kärnten for Ithuba Johannesburg, but are not infilled with organic insulation but as a typical lightweight – with window elements or wood and fiber cement panels. Steel is not suitable because of the proximity to the sea and is only used as secondary structure after galvanising. The enclosing outer wall is made out of easily available hollow concrete blocks. Advantage of the labor-intensive construction method lays in the employment of many people, it is cost effective and the local construction team is experienced in handling. 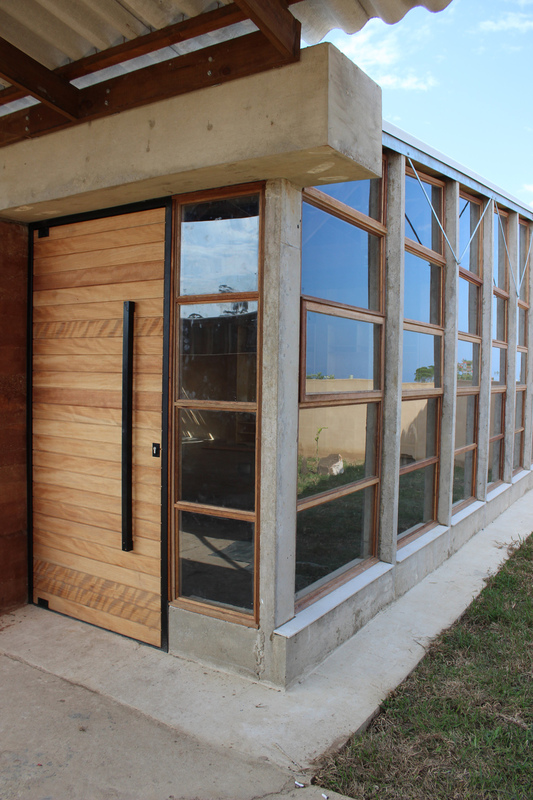 In future, this building material, as well as the daily produced in situ ventilation stones, could be produced locally at the school to guarantee long-term income possibility of the local construction and maintenance team. 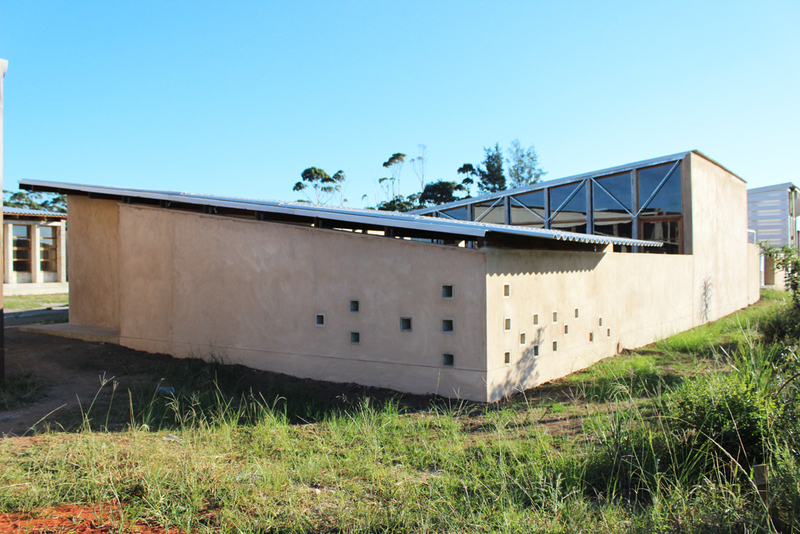 Plastering and floor screed of the building has been contracted to the construction team under the direction of local craftsman Mteteleli Lichael Mbokodi. Over the last years he could share his knowledge at different projects for the Ithuba Wild Coast School with Phakamani, Siyabonga and others.